Complimentary dry styling, touch-ups, and braids from Drybar. Plus, get $5 off your next blowout at Drybar at Miracle Mile Shops (valid any Monday – Thursday). Learn how to sculpt the perfect set of brows from MAC Cosmetics. Get tips on creating vibrant lips from Sephora. Receive a token of appreciation with any $25 same-day, in-store purchase. Discover the secrets to creating the ideal smokey eye from NYX Professional Makeup. And, receive 20% off your same-day, in-store purchase. Other demos and offers will be available from Basin White, The Body Shop, and more! This event is free and open to the public to both Las Vegas residents and visitors alike. Anyone with a love for beauty products will enjoy it. 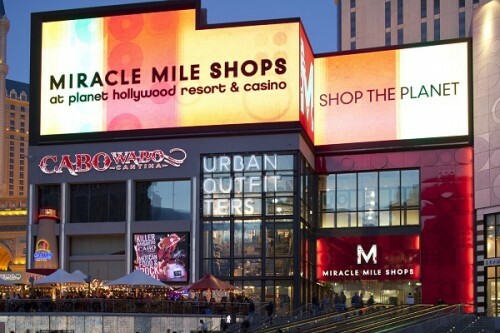 Visit the northern plaza of Miracle Mile Shops to attend. For more information, go to MiracleMileShopsLV.com.